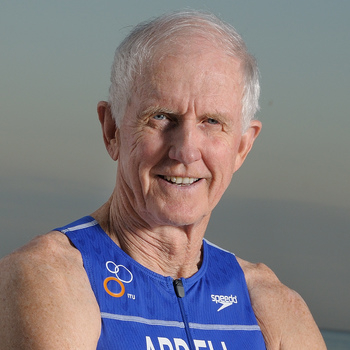 Donald B. Ardell entertains, informs and offers new perspectives on living well. He specializes in describing ways individuals can transcend the mediocrity of normalcy and how companies and other institutions can benefit from REAL worksite wellness programming. He also offers tips for successful aging, based upon two books and many lectures on the challenges of making the most of later years. Don's performances demonstrate how to manage weight, become and remain fit, eat well, think critically, find sufficient meaning and purpose, act ethically, understand the dynamics of happiness and enjoy both work and leisure pursuits. 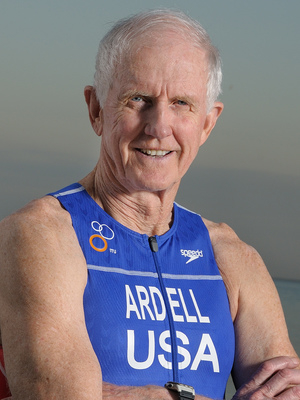 Don is a multiple national and world champion triathlete and remains the most influential promoter of high quality lifestyles in America. His first book, High Level Wellness: An Alternative to Doctors, Drugs, and Disease (Rodale, with periodic update editions by Bantam Books and Ten Speed Press) sparked and shaped the health promotion field beginning in the late 1970's. Don is a prolific writer and dynamic speaker. He has published the WELLNESS REPORT since 1984; 74 printed quarterly editions are in print and another 775 weekly online newsletters have been circulated worldwide. Don has traveled throughout North America, Australia, Canada and a dozen other nations on behalf of public and private organizations. Don's website is www.donardell.com. In addition to books and thousands of essays, he has done countless media interviews, written extensive book reviews and conducted dozens of podcasts. Don has degrees from George Washington University, The University of North Carolina at Chapel Hill, Stanford University and The Union Institute in Ohio. A member of the board of trustees of the National Wellness Institute for several decade, he is one of ten Americans given the Healthy America Fitness Leaders Award in 1991 by the President's Council on Physical Fitness and Sports, Allstate Insurance Company and the U.S. Jaycees. Don has an avocation of sorts - giving lectures on the life and spell-binding speeches of one of America's greatest ever orators, famous in his time (the latter half of the 19th century) and largely unknown today, namely, Robert Green Ingersoll. Don interacts with, involves, energizes, inspires and influences audiences to consider attitudes and behaviors that enable excellence and greater life satisfaction. Anyone who has seen and heard Don perform understands the nature of REAL wellness and how it benefits practitioners and the organizations of which they're a part. He believes it's well worth the discipline required to sustain an exceptional lifestyle and positive philosophy -- and to try always to look on the bright side of life!